Tushar, who came from New Delhi, India is a fund manager of a local finance company. Being in Singapore for 3 years, he started to learn Chinese merely due to his interest. However, what he did not expect was the convenience it brought his life, and also the language’s ability to bridge the gap between him and his local friends. When settling in a foreign country, understanding and learning a local language and culture not only widens one’s horizon, but also enhance enjoyment of life. Tushar Sinha, who came from New Delhi, India, is a fund manager of a local finance company. Within the 3 years of staying in Singapore, as to enrich after-work hours, he had actively tried out a variety of things he was interested in but yet to to take action. The first one was to learn Chinese. His fondness towards Chinese characters had sowed the seed of yearning to master this language. 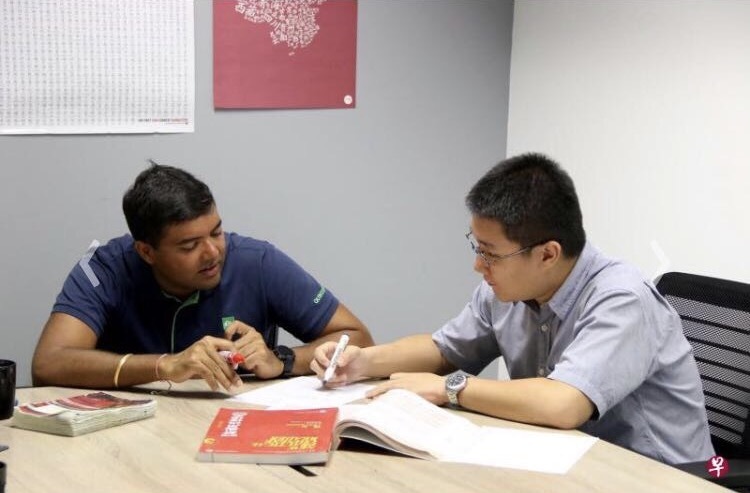 In 2013, after being dispatched by his company to work in Singapore, he found a language school that specialises in teaching Chinese to foreigners, thereby fulfilling his wish to learn the language. According to his teacher, Wang Zhen Yu, Tushar is an intelligent student with great memory and talent in language skills. Putting in twice a week for the Chinese lessons, he started from the simplest pinyin (Chinese Phoenetic Alphabet Orthography), and within a year and half he could already conduct daily conversations. Learning Chinese is not only useful in Singapore. Tushar recalled there was once he finished his trip in Thailand and was about to take the return flight to Singapore. He looked for signboards that indicate “International Departures” in the airport, but at that time he could only find the ones in Thai and Chinese. Fortunately he knew the four Chinese characters of “国际出发”(guo ji chu fa, meaning “international departures”), hence allowing him to find the departure lounge. 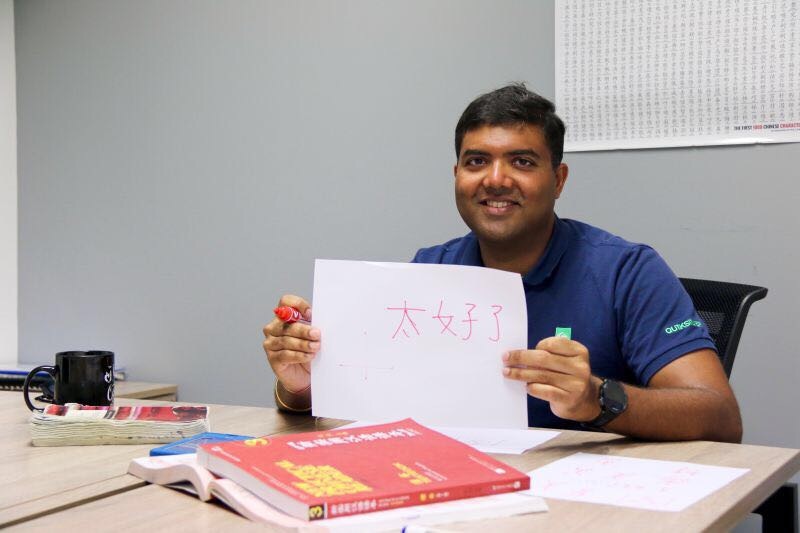 Tushar said he initially started to learn Chinese merely due to his interest. Little did he expect his language skills to bring him much more convenience in daily life, which is also an additional reward. Besides learning language, Tushar also enrolled in a swimming club. Every week he would swim with the club members. In addition, he also joined a volunteer group to visit the old folks’ home regularly. He made a lot of local friends there, and would sometimes speak to them in Chinese. “Each time when I speak in Chinese, they are appreciative that I learn their language and culture. When they know I can speak their language, they feel closer with me, because I use their language to communicate with them, ” He said. Learning a new language, becoming a volunteer, finding interest groups; in the interview, Tushar said he is someone who cannot stay still. If there is a chance he would like to know more about the country he lives in, and people here.